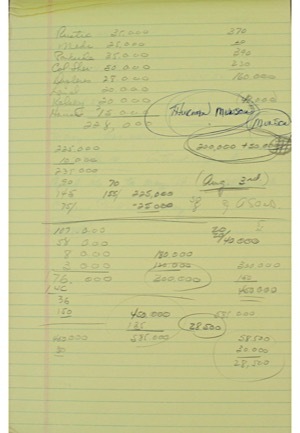 A grouping of handwritten notations and writings from the Captain of the New York Yankees, Thurman Munson, circa 1979. 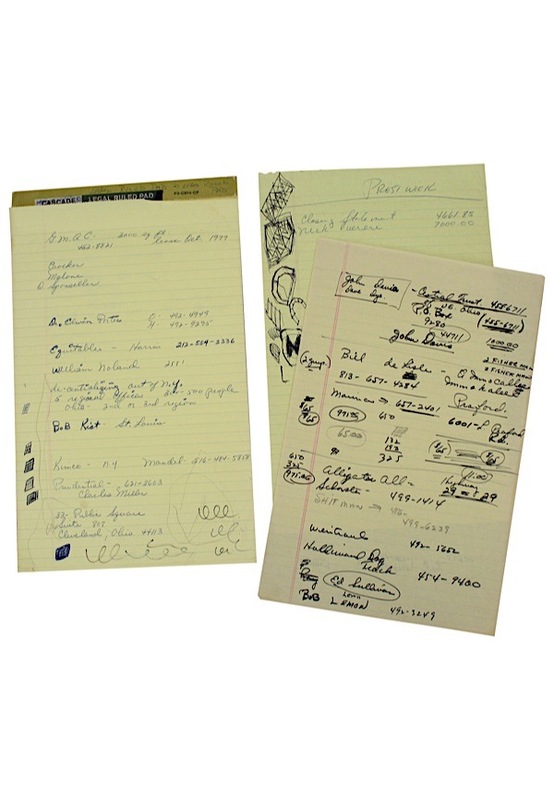 The offered lot includes eleven total pages of notations, doodles and numbers, with various real estate content and other topics. 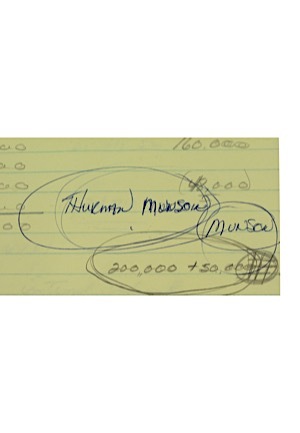 Munson has "signed" his name in blue ink on one of the pages and again on the same page with his last name only. Hauntingly, just below the two autographs is the date of "Aug. 3rd" which has been underlined three times by Munson. Although it is unclear why this date is written, or for that matter underlined, it does represent the day after Munson's tragic accident. Originating from the original Fan Fest auction that showcased the Munson estate relics from Diana Munson. Accompanied by a LOA from JSA.